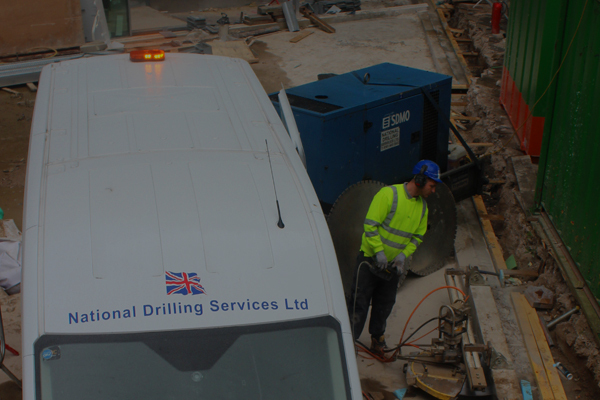 National Drilling Services Ltd are proud operators of the latest high powered saws and hydraulic driven machines. 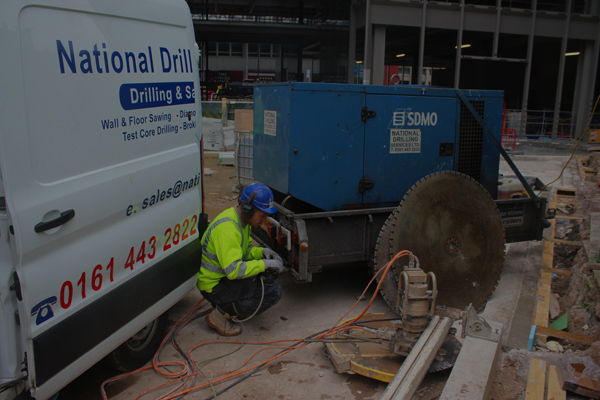 Track Wall Sawing is a method that can be used for vertical, horizontal or even inverted cuts to a maximum depth of 800mm. This process is excellent for forming doorways or window apertures, flush cutting against walls for breaking lines, lift shafts and stairways. Our stock of diamond blades range from 450mm to a gigantic 2 metre diameter so no matter what your projects specific requirements are we can accomodate.